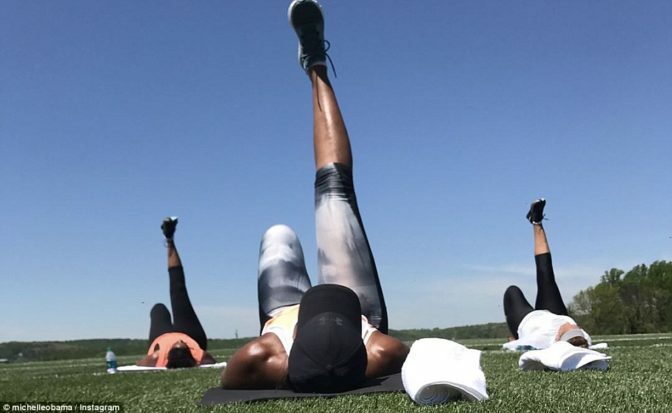 Michelle Obama is adapting to life outside the White House. 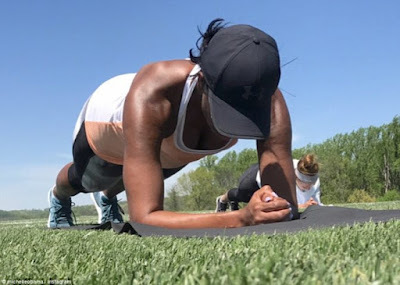 The former First Lady shared photos from the bootcamp workout on Instagram on Monday revealing she got into the habit of hosting the fitness sessions during her husband’s presidency. Now that she and Barack have moved out of the White House, 53-year-old Michelle has continued with the tradition, as she invited her closest friends for a sunny sweat session..
‘When I was at the White House, I often hosted bootcamp weekends for my close girlfriends. 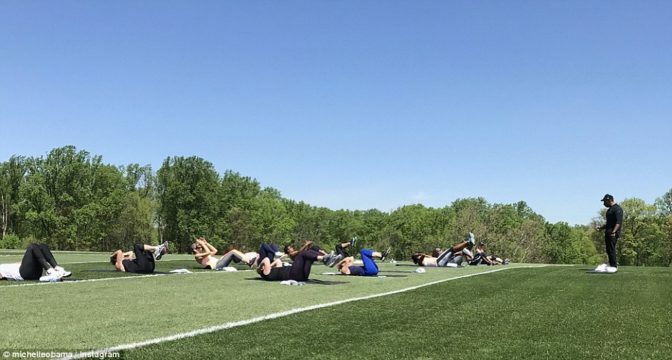 It didn’t matter that we were all at varying fitness levels,’ she wrote in the caption, reminiscing on past sessions. The session, which according to People took place at a friend’s house outside of Washington, DC, occurred on a sunny day and under the watchful eye of an instructor. Michelle, who has been spotted attending classes at a Washington, D.C. Soul Cycle since moving out of the White House, is a well-known fitness fan.